Check out our live coverage of the opening game of the 2016 COSAFA Under-17 Championships between Zambia and East African guest nation Kenya! Zambia XI: Benson Mwale, Justin Mwanza, Benjamin Phiri, Kasonde Mulenga, Kunda Nkandu, Damiano Kola, Castrol Siakotale, Chanda Mukuka, Danny Kunda, Ponsirio Kapampa, Nicholas Mulilo. Kenya XI: George Ouma, Brian Otieno, Clinton Machaka, John Njuguna, Zidane Karume, Ibrahim Onnangwe, Telvin Njeri, Kenneth Karungari, Muthoka Mulei, Eric Murithi, Brian Omutanyi. 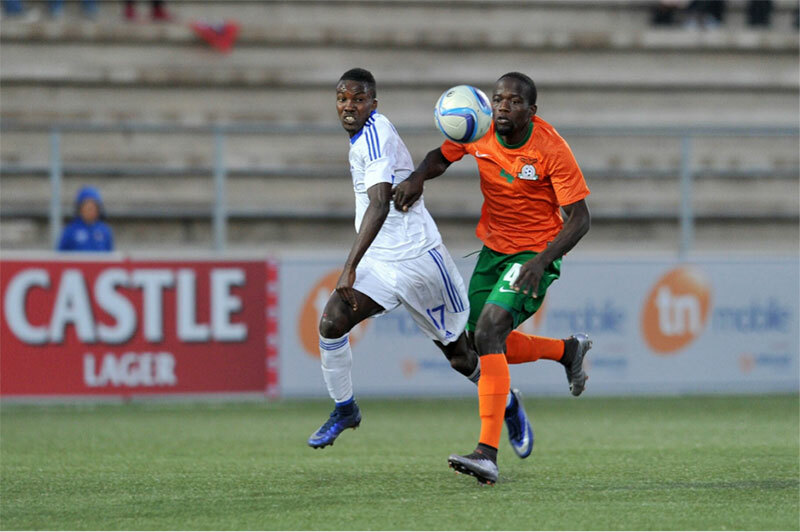 – FULLTIME: Zambia cruise to a 4-0 win over Kenya in a one-sided opening match of the 2016 COSAFA Under-17 Championships! Mulilo is named Man of the Match. 86′ – Mulilo shoots wide for Zambia. He really should have had a hat-trick today! 77′ – Zambia sub: Sam Mwebe comes in for Siakotela. 76′ – Kenya sub: Thomas Mut comes in for Karungari. 73′ – Much better pressing from the Kenyan players who force Zambia to play in their half only. 70′ – Zambia sub: Samuel Kabwe comes in for Kola. 63′ – Great shot by Mulilo but he is denied by the keeper. 54′ – Murithi nearly scores with a great shot from the range but Mwale makes a great save. 50′ – Yellow card for Damiano Kola from Zambia. 48′ – Zambia sub: Musonda Kalale comes in for Mukuka. 46’ – Kenya subs: Daniel Wambua and Jeremy Murithi come in for Otieno and Njeri respectively. – HALFTIME: Zambia in complete control as they lead 4-0. It could have been more too! 45′ – Mulilo misses a great chance to make it 5-0 as he puts his shot wide. 43′ – GOAL! Zambia running rampant now as they lead 4-0 thanks to a goal from Kunda Nkandu! Another mistake from Ouma. 41′ – Yellow card for John Njuguna from Kenya. 40′ – Kenya keeper Ouma has a lot to do on his line as his defenders are too slow. 37′ – GOAL! Damiano Kola finally has the ball in the back of the net after numerous chances and Zambia lead 3-0! 30′ – Mulilo misses out on his hat-trick after he has his effort saved with just keeper Ouma to beat! 26′ – Kola now finds himself one-on-one with the keeper, but he sends his effort wide of goal. Huge chance! 23′ – Kola thinks he has another goal for Zambia, but he is ruled offside. 15′ – Zambia are in complete control as Ouma is forced into a fine save from Kola. 13′ – GOAL! Zambia do make it 2-0 and it is that man Nicholas Mulilo again as he grabs his second after scoring with just the keeper to beat! 11′ – Big chance for Kola as he finds himself one-on-one with the goalkeeper, but he skies his chance and the opportunity is wasted. 4 – GOAL! Zambia have the lead as Nicholas Mulilo scores after a mistake from the Kenyan goalkeeper! 3′ – Kola bears down on goal but is ruled offside. 1 – We are under way in the first match of the 2016 COSAFA Under-17 Championships! – Match officials: Referee: Christopher Harrison (South Africa); 1st Asst: Lionel Hasinjarasoa (Madagascar); 2nd Asst: Olivio Saimone (Mozambique).